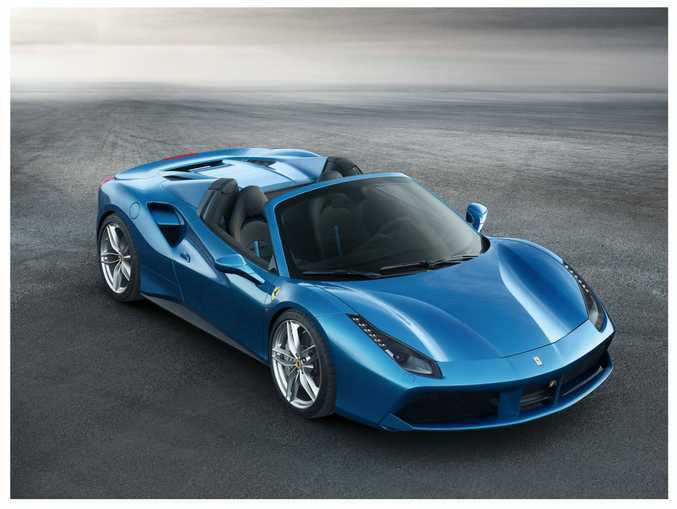 WIND IN THE HAIR: Ferrari's 488 Spider uses the retractable hard top which debuted on the 458 Spider, and can be raised and lowered in 14 seconds. THE Ferrari 488 Spider made its Australian debut this week, a month since wowing enthusiasts at the Frankfurt International Motor Show. The Maranello open top will set you back almost $527,000 (plus on-roads), some $57,000 more than the GTB version that went on sale here in July. This is the most high-performance Spider built to date and is powered by the 488 coupe's turbo-charged V8 that punches out 760Nm at 3000rpm. Acceleration comes at a blistering pace, 0-100kmh in an effortless three seconds, with a throttle response time of just 0.8sec which helps eliminate turbo lag. 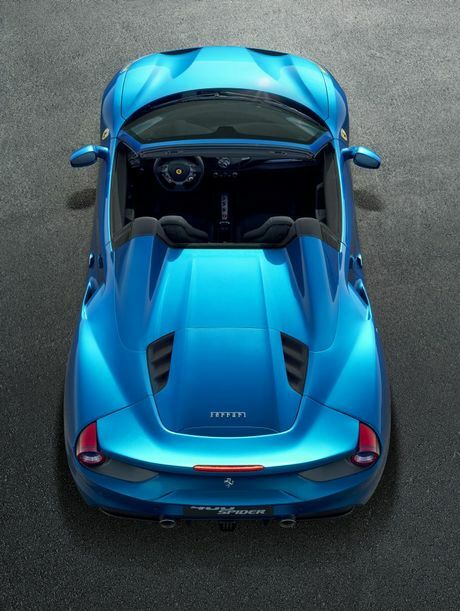 The light, high performance spaceframe chassis, crafted at the Scaglietti centre of excellence, uses 11 different aluminium alloys in varying percentages to meet the demands for torsional rigidity and beam stiffness. 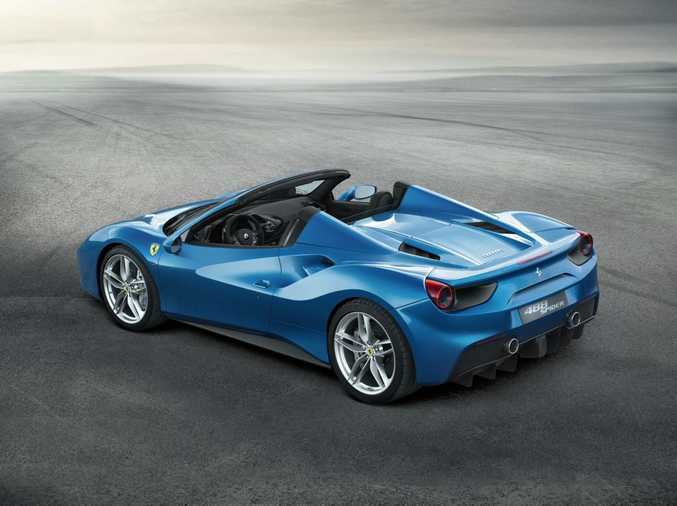 The 488 Spider uses the retractable hard top which debuted on the 458 Spider which can be raised and lowered in 14 seconds even when the car is moving. 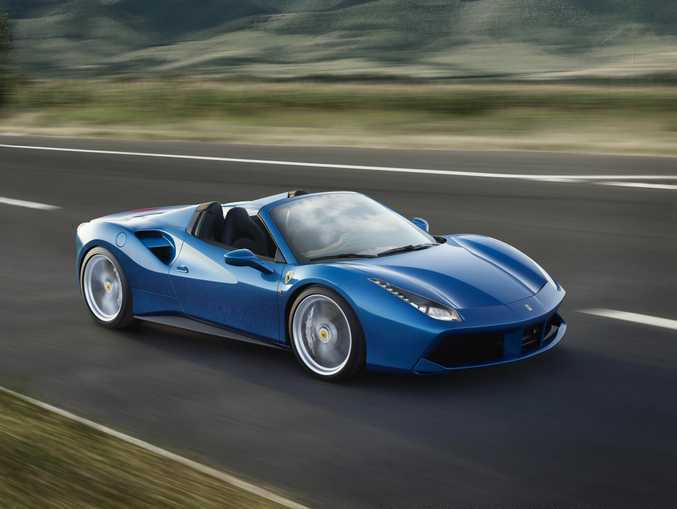 The 488 Spider's mechanical set-up and dynamic vehicle controls make a vital contribution to its sporty on-road performance. Technicians worked on the dampers to guarantee maximum sportiness without compromising on comfort and the new side slip angle control system which makes it easier for non-professional drivers to reach the limit. 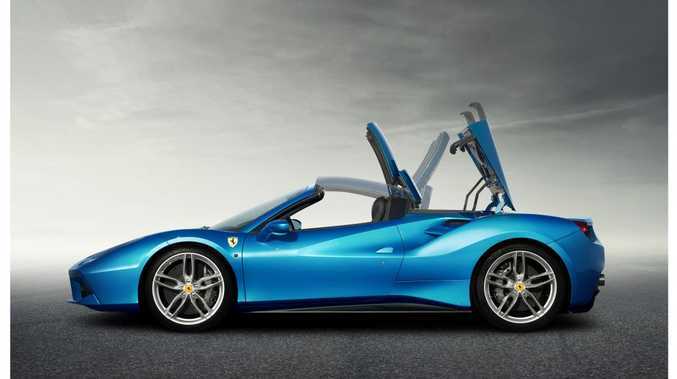 The Ferrari Design Centre has brought a sculptural beauty to the modifications made to accommodate the retractable hard top and meet the aerodynamic demands of the car. Cases in point are the flying buttresses which optimally channel air flows to the engine cover, the ribbing on the cover and the air intakes with sculpted mesh grilles which lend a feel of dynamism to that area of the car. Engine: V8 turbo-charged petrol delivering maximum power of 492kW @ 8000rpm and maximum torque of 760Nm @ 3000rpm.